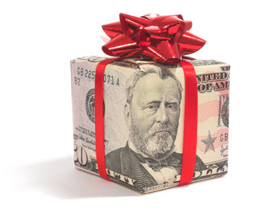 Add to your Christmas cheer by getting a jump start on saving for Christmas! Our Christmas Club account helps you earn money while saving for Christmas, as this account pays you a dividend based on your Average Daily Balance equal to Regular Share Tier 2. You can make deposits at anytime to this account through payroll deduction, transfers or in-branch deposits. The second Tuesday of each November, the entire balance of this account is automatically deposited into your Membership Share account just in time for the holiday shopping season. Early withdrawals are subject to a fee.